I think Paco Rabanne have undergone quite a transformation over recent years, as I personally didn’t like any of their fragrances until they launched Lady Million, and Eau My Gold. Since 2012, when Paco Rabanne appointed a new creative director, the brand has gone from strength to strength and their fragrances are now targeting a larger age demographic. 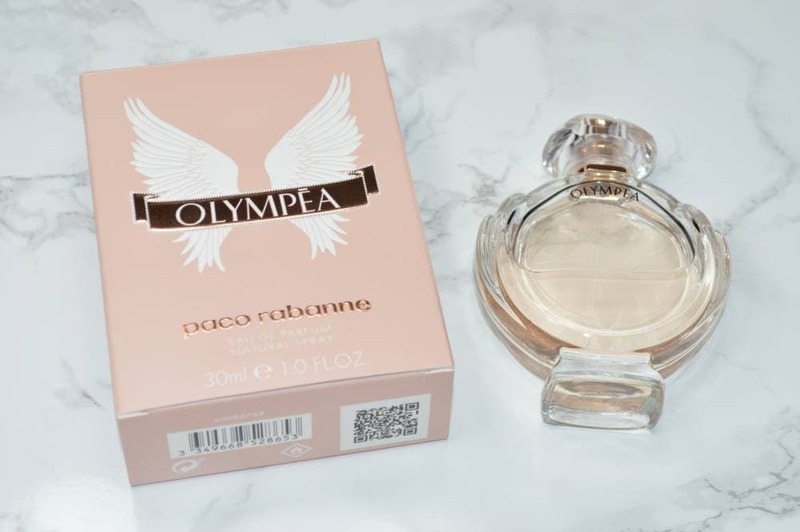 When I read that Paco Rabanne were launching a brand new fragrance; Paco Rabbane Olympea Eau de Parfum, I was excited to give it a try as it sounded divine on paper, according to the notes and its description. 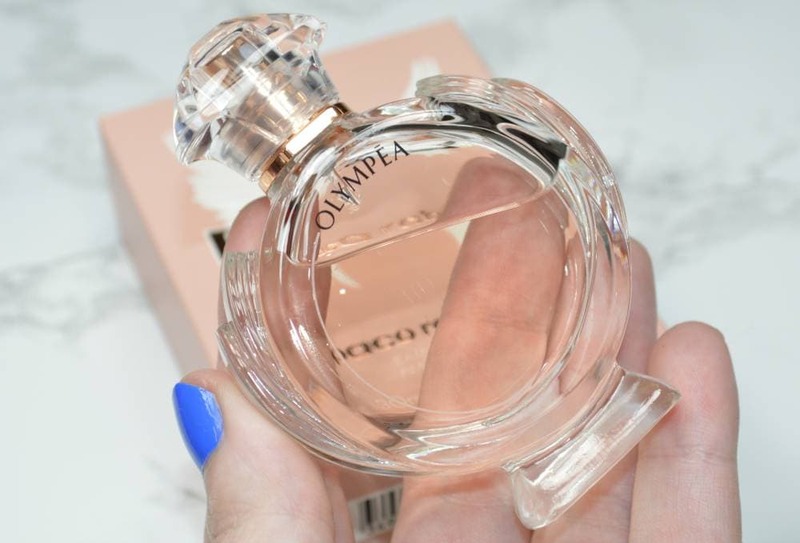 Paco Rabanne Olympea is the feminine equivalent to their male scent; Invinctus which launched back in 2013 which was inspired by athletic spirit, competition and victory. The new Olympea is inspired by the idea of a modern Greek goddess which evokes strength, dynamism and conquests. The bottle itself is absolutely beautiful, with the glass being shaped like a laurel wreath from Greek Mythology, with rose gold accents which compliments the pale rose coloured fragrance inside the bottle. Notes wise, the Paco Rabbane Olympea Eau de Parfum opens with sparkling green mandarin, aquatic notes of water jasmine and fiery ginger lily. The heart contains warm, salted vanilla, whilst the base consists of sandalwood, cashmere and ambergris. I did wonder if Olympea would be similar to Versace Eros as they’re quite similar aesthetically, and both inspired by Ancient Greece but they couldn’t be more different, and I much prefer Olympea. On first spritz, Paco Rabanne Olympea is very fruity, with the mandarin being the most prominent note but within a minute, the vanilla and sandalwood become more prevalent and it develops into a beautiful sweet and warm scent which I’d describe as being a fruitier version of Thierry Mugler’s Alien. I adore Alien, and have done for around six years and it’s my favourite fragrance of all time but I think I might just love the Paco Rabbane Olympea Eau de Parfum more as it’s not as strong and overwhelming as Alien, but it still has incredible longevity – I can still detect it on my skin upto ten hours later (albeit very subtly). 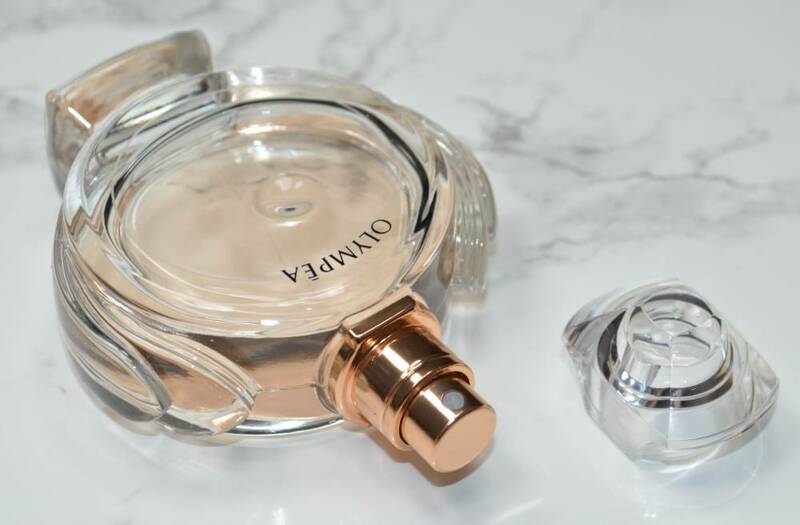 It really is a fragrance, and one I’d never imagine to come from Paco Rabanne; it’s very different to anything else within their collection, so I’d definitely recommend giving it a spritz as I think you’ll be very pleasantly surprised. I absolutely love it, and find it to be a real mood enhancing scent.. The Paco Rabanne Olympea Eau de Parfum is available in 30ml, 50ml and 80ml bottles from Escentual, and starts at £40, although from now until the 18th of August, Escentual are offering 20% off sitewide with the promo code ESCENTUAL20. *This post contains a PR Sample or gifted item.